Do you live in Hampshire and need a new boiler? Does your central heating require an urgent repair or annual service? You’ve come to the right place! With over 40 years’ experience installing and maintaining boilers and central heating systems, we are perfectly positioned to deal with the heating needs of our customers in Hampshire. We only install reliable, high-efficiency boilers from the top boiler brands. 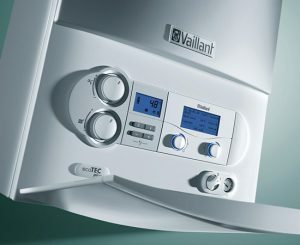 Vaillant is one of the UK’s most highly regarded brands and offer a range of different boilers in their EcoTec series that give homeowners an efficient SEDBUK A-rated performance at a great low price. Any new boiler installation will come with a comprehensive manufacturer warranty period, meaning you can relax safe in the knowledge that should your boiler not work as you need it to, you are completely covered. Modern boilers are able to make the most of condensing technology. This means that the boilers are able to make better use of the heat energy they generate. It is this increased efficiency that can save you an estimated £310 a year – a huge saving that can contribute towards the cost of a new boiler. For more information from Hampshire’s preferred boiler installation company, please get in touch with us today by calling on 07852 583 351. One of our boiler installation specialists will be on hand to provide you with the information you require. © Copyright 2018. Emergency Plumbers Hampshire. All rights reserved. Website by iDomains.